Custom Decals, Labels & Magnets - Vinyl, Polyester, Foil, Paper, Chrome, Clear, White, Reflective, Flexo, Screen Printed | BB Tees Inc.
BB Tees, Inc. offers a wide variety of custom decals for your every need in an assortment of materials such as vinyl, polyester, chrome, clear, white, static cling and reflective finishes. The decals are screened from 1-4 color process. 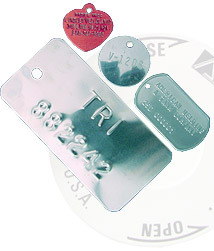 Decals are available with a clear overlaminated surface to protect them from the elements, abrasion and some solvents. All of the decals are supplied with a strong permanent adhesive on the back. 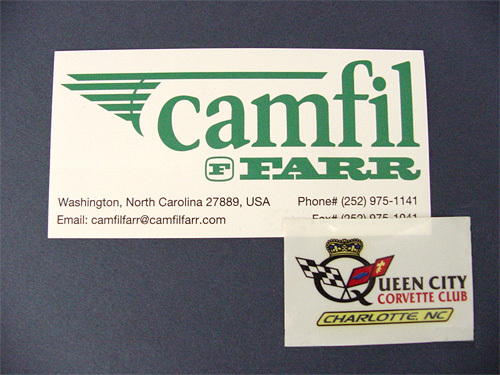 Custom Labels are supplied in rolls and are flexo or screen printed. Some of the materials available are paper, foil and vinyl. The labels can be printed in 1-4 color process and have adhesive backing on them. Custom Magnets are supplied in many shapes and sizes. They are screen printed from 1 color to full color images. They are available for indoor as well as outdoor use. We offer some stock shapes as well as custom shape magnets to fit all of your requirements.